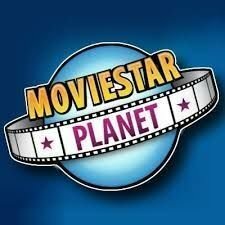 MovieStarPlanet - become a star yourself! MovieStarPlanet is a cool multiplayer for kids where you can create your own movie star avatar. You've always wanted to get famous, shoot movies, try as a singer or design your own clothing line. You can try that and much more now in MovieStarPlanet! Determine all the details of your new avatar himself - from hairstyle to the coolest clothes - and bring it to fame and fortune. Surely you have ever wanted to lead a life like Kylie Jenner or Gigi Hadid. Take your chance and become a sought-after singer and actress or a hip designer or pop star in MovieStarPlanet. Play through the lives of the stars, chat with new friends, and climb the high score lists as you measure yourself in mini-games, on the runway, or filming with others. This simulation game will entertain you for a long time! Create your own avatar and explore the world of MovieStarPlanet . In this social network for kids you can have a lot of fun and maybe even bring it to some celebrity. It is helpful to first familiarize yourself with the gameplay. Earn diamonds and coins, called Starcoins, through good action. Try out the latest fashion trends, assemble your own outfits and present them on the catwalk. Create beautiful artwork like movies, artbooks and photos and win valuable awards. Use great animations and crazy stickers. Play funny mini-games like quizzes, duels or dress ups and invite your friends too. Decorate your rooms and even keep some cute pets. You never play alone in MovieStarPlanet. Maybe there are topics that interest you. Then talk to other girls and boys about it. Talk about exciting topics in the protected chat rooms and forums with other players and meet new friends. Watch YouTube videos of your favorite shows and celebrities. Be inspired by your favorite stars or create your very own looks to become a trendsetter, even for others.